The On-Board thermal printer is an internal peripheral for use with the MxPro 5 range of control panels. This additional unit provides automatic, or on demand copy listings of the event log or status information. The unit being fast and silent during operation has its own in-built battery backup to enable continuous uninterrupted operation even during a mains fail situation. Spare rolls of thermal paper can easily be replaced due to the mechanism’s easy access, front-loading compartment. Can be used for printing the panel’s event log or configured by the user to automatically print any of the following event types: Fire, Fault, Alarm or Test. Note: If an on-board printer is to be fitted to the panel with a zone indicator module, use the Mxp-013-050 or Mxp-013-100 modules. The Mxp-025 20 Zone LED card cannot be used. The on-board Printer can be fitted to all MxPro 5 panels. 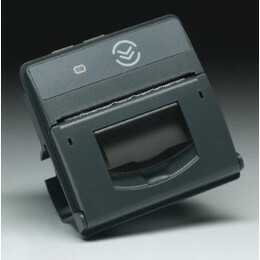 The On-Board printer is supported from panel software revision 16 onwards. It has automatic operation for Fire, Faults Alarms and Tests.